Two players secured their spots in SUPER DARTS 2018(Thu Mar 15 and Fri Mar 16). 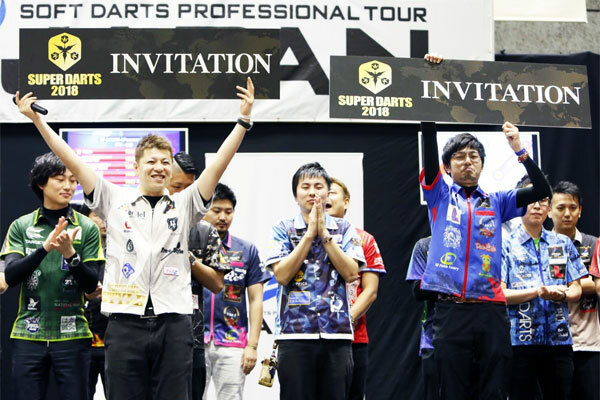 They clinched their SUPER DARTS spots as CHAMPION of RED SEASON and highest ranked player (besides the two already in SUPER DARTS) of the Annual Rankings of JAPAN 2017 in JAPAN STAGE 18 that took place in Okayama on Fri Feb 11. The players' names were announced at the closing ceremony of JAPAN 2017 season. Each announcement of the player was met by sweeping cheers and applause from fans and fellow players.